Please join Free Tibet’s Campaign to help free peaceful campaigner Tashi Wangchuk by contacting your government’s foreign affairs minister. Also action from Amnesty International. Please join the campaign to free Tashi Wangchuk by contacting your government now. 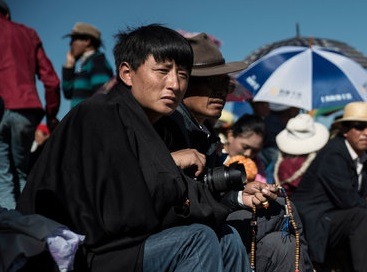 “A young Tibetan, Tashi Wangchuk, who advocates for Tibetan language education has been detained and charged with “inciting separatism”, with no access to family and lawyer. He could face up to 15 years in prison if found guilty. It is shocking the way in which human rights are violated in Tibet and indeed China itself while the nations of the world stand by and do very little other than make weak objections. More interested in trade with China and the exploitation of its people for the benefit of the wealthy and powerful such grave injustices are ignored and many people lose years of their lives and suffer torture in prisons for doing what most of us take for granted and that is the right to free speech. Simply for agreeing to an interview with the New York Time this unfortunate man has to spend fifteen years in prison! Please take as many of the above actions as you can. COWARDLY YOUTHS set a dog on fire in the SANTA MATILDE community in the municipality of SANTO DOMINGO in SAN LUIS POTOSÍ, MEXICO and recorded him in a video. The authors of the cruelty to the dog have uploaded the video to YouTube. Please message JUAN MANUEL CARRERAS LÓPEZ, GOVERNOR OF THE STATE OF SAN LUIS POTOSÍ, to ask the that these criminals be punished. DSW Inc. (NYSE: DSW), formerly Designer Shoe Warehouse, is a speciality branded footwear retailer, headquartered in Columbus, Ohio, USA. They said they are great people with deep values and a whole lot of shoe love who have the mission to be the #1 place that America turns for shoes. THEY FORGOT TO SAY THEY ALSO SUPPORT CRUELTY TO ANIMALS. Fur farmers use the cheapest killing methods available: suffocation, electrocution, gassing, and poisoning. But retailer DSW doesn’t seem to care—let it know that you do. 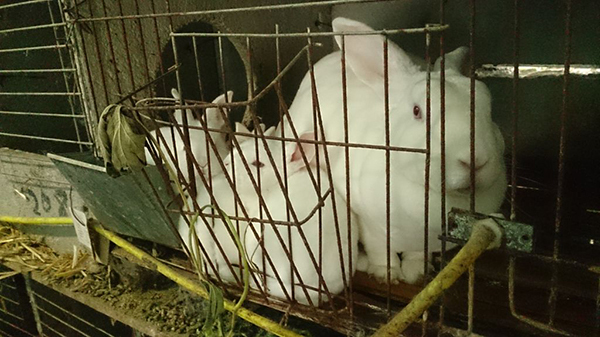 Please contact DSW and urge them to end fur and angora wool sales. Please Sign Petition: Stop the Horrific Ripping-Apart of Baby Foxes in Illegal Fox-Hunt ‘Cubbing’! Please sign and share the following petition. Despite the fact that fox hunting, hunting with dogs, is outlawed the horrific cruelty of so called cubbing continues it seems regardless of the law. Enforcing this law is ignored and a blind eye is turned concerning this barbaric obscenity. More suggested action to take further down. ” ‘Cubbing’ starts in August and ends in November each year. In the name of hunting, young fox-cubs are used to train young hounds, in a reduced woodland with little to no chance of escape before being ripped apart. Underground holes – fox earths and badger setts – are blocked to prevent the cubs having a safe place to hide. If these poor creatures escape underground, ‘terrier-men’ are on hand to ensure that they dig out the fox-cub. Hunt followers surround the woods to ensure that any terrified fox-cubs trying to escape are ‘flushed out’ and scared back into the mouths of the pack of hounds. 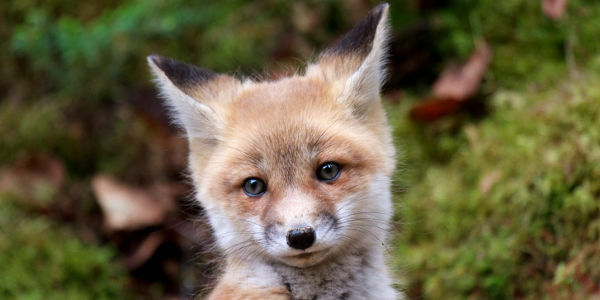 Stop the Horrific Ripping-Apart of Baby Foxes in Illegal Fox-Hunt ‘Cubbing’! http://www.thepetitionsite.com/takeaction/476/973/514/ This petition may be signed by anyone worldwide. Please sign and share. It is well worth signing this petition even though Cameron himself actively supports the reinstatement of fox-hunting being a keen participant of this barbaric “sport”. It is time he was made aware of the full impact of public opinion and that his own personally warped views on the issue does not negate his responsibility to ensure the law is enforced and prosecutions and penalties enacted. You have to wonder at the sick mentality of those who derive pleasure from the torment and death of any animal being torn apart by dogs. To allow such barbaric behaviour to continue is not in keeping with any progressive society. Sadly it seems that in recent years in one way or another the UK cannot claim to be a progressive society in regards to improving and reforming unethical and monstrously cruelty treatment of animals. “A huntsman who knows his salt knows there is a vixen in a particular cover and that there are five cubs with her. He goes into the cover and soon the hounds pick up the vixen’s scent and speak to her. They rattle around a bit. She’ll try to warn them off and, when the going gets tough, put her cubs to what she considers safety underground, in the earth. “She will then break cover to take the hounds away from the cubs… never mind that there are 50 frightful people out there making noises and shouting. She’ll run across the fields…The hounds will come out and chase her a bit. “After a field or field and a half, the huntsman will call them back. Now they go to the earth where the cubs are and they dig them out. And they don’t kill one or two or three but every one of them, after which they congratulate themselves on a beautiful morning’s cubbing.” Former hunter Clifford Pellow. Watch the video featuring a vixen and her adorable family. How anyone could set dogs onto these helpless animals is beyond my comprehension. 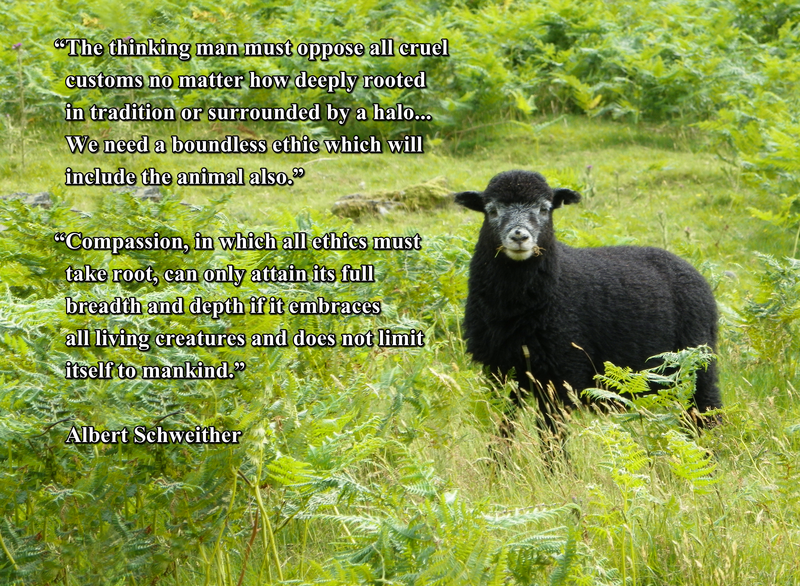 To be more accurate today’s thought provoking quote is actually two quotes from Albert Schweitzer who had so many profound things to say concerning our relationship with animals that it was difficult to select which quote to include. “Albert Schweitzer, born 1875 in Kaysersberg in the province of Alsace-Lorraine in the German Empire, is perhaps mostly remembered for his work in Africa as a missionary. He was however also a theologian, organist, philosopher, and physician. He also set in motion important ideas concerning our ethical treatment of animals, and was an important protagonist in the evolution of our concept of animal rights. He struggled with the paradoxes of the relationship between man and animal as no other philosopher had ever done before. His philosophy has altered attitudes, led to the passage of laws and helped the cause of animal rights in the latter part of the twentieth century. Schweitzer’s reverence for life philosophy has had a profound effect on the environmental movement. Rachel Carson dedicated her book A Silent Spring, widely attributed to the beginning of environmental awareness, to Albert Schweitzer. Moreover Schweitzer’s article published in 1936, The Ethics of a Reverence for life may have influenced the rapid growth of ethical and charitable organizations of all kinds throughout the world. Many animals experience pain, anxiety and suffering, physically and psychologically, when they are held in captivity or subjected to starvation, social isolation, physical restraint, or painful situations from which they cannot escape. Even if it is not the same experience of pain, anxiety, or suffering undergone by humans- or even other animals, including members of the same species- an individual’s pain, suffering, and anxiety matter. 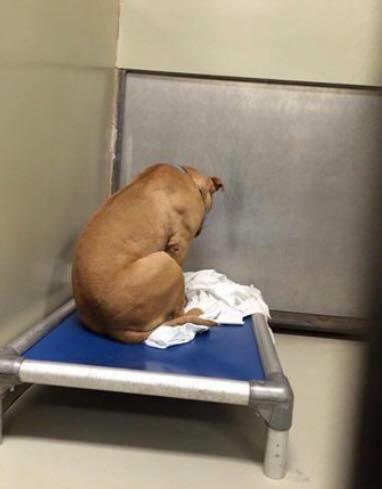 “A rescue dog now spends his days staring at a blank wall after his would-be adoptees pulled out at the last minute. Living in animal rescue shelter ACCT in Philadelphia, Pennsylvania, since he was brought in as a stray, the 58 lbs dog was finally due to be rescued. But at the last minute, his new family pulled out of the deal and March was taken back to the shelter. I hope this unfortunate dog finds a loving forever home soon. It couldn’t be more plain could it; animals are sentient beings capable of a wide range of emotions including depression. You can clearly see how dejected this poor creature looks, how miserable and unhappy. Depression is a serious and devastating illness in human beings and it is the same for animals. If you think of depression and other mental illness as a uniquely human trait you would be wrong. Indeed the presence of mental illness including depression in non human animals is confirmed by both scientific and anecdotal evidence. In his 2008 book The Emotional Lives of Animals, Bekoff suggested that “Harry suffered from coyote autism”. http://www.bbc.co.uk/earth/story/20150909-many-animals-can-become-mentally-ill – Please note, reference is made in the article to animal testing. I do not approve of animal testing for any reason whatsoever and have only included this article because of its invaluable information concerning animals and mental illness. More stories concerning mental health in animals. http://think-differently-about-sheep.com/Animal_Sentience_Storeis_Mental-Health.htm – This is a long article and includes videos with many examples of mental illness presenting in animals. Sam is a German Shepherd who does not like going for walks, in fact he is terrified of going outdoors. Any attempts to take him for a walk and Sam arches his back digging his feet into the ground, he is adamant he does not like the great outdoors. His fear may be the result of being kept in a small flat when he was a puppy by an elderly woman who had him for company but was too infirm to take him for walks. When she died the Dogs trust tried with difficulty to rehome him, his agoraphobia deterring prospective guardians from giving him a home. In the end staff decided to house him in one of their kennels. Sam refusing attempts over the years to take him for a walk in the fields opposite his kennel is taken only for very short brief walks in a paddock with a handler. Before going to Iraq as a highly trained explosive detection dog two year old German Sheppard Gina was a happy and playful animal. As a door to door bomb sniffing dog Gina rather like the humans in her company was exposed to flashing lights and the noise from explosions. Sadly also rather like some of her human companions this experience changed the once happy dog into a fearful and cowering animal wanting nothing to do with people. Now when her handlers tried to take her into a building she would resist by stiffening her legs. When inside she would slink to the floor tucking her tail beneath her legs. A year on and Gina was improving and overcoming her fears thanks to frequent walks, friendly people and a slow reintroduction to the noises associated with military life. Unfortunately it is doubtful that Gina will overcome her fears entirely though there are hopes that she will resume her duties in Iraq but that will not be for a while yet. What a sad story not only from the perspective of the psychological trauma of Gina but the fact that human beings use animals in their dreadful conflicts, animals who really have no say in the matter. Do Wild Animals Suffer From PTSD and Other Psychological Disorders?